Utility that lets you quickly build SQL queries to PostgreSQL databases. 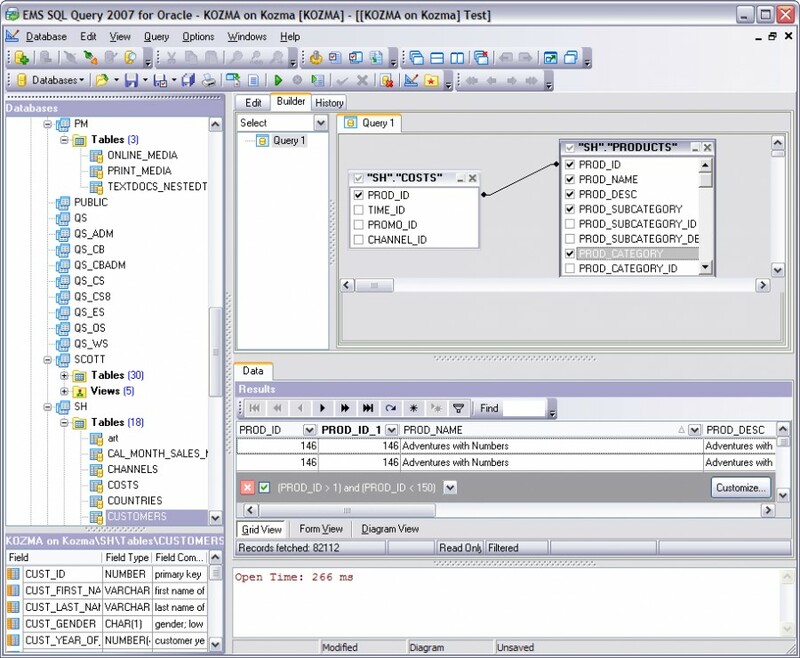 EMS SQL Query 2007 for PostgreSQL 3.0 is databases & tools software developed by EMS Database Management Solutions, Inc.
SQL Query for PostgreSQL is an utility that lets you quickly and simply build SQL queries to PostgreSQL databases. Visual building as well as direct editing of a query text is available. User-friendly graphical interface allows you to connect to databases, select tables and fields for a query, set the selection criteria and many more. 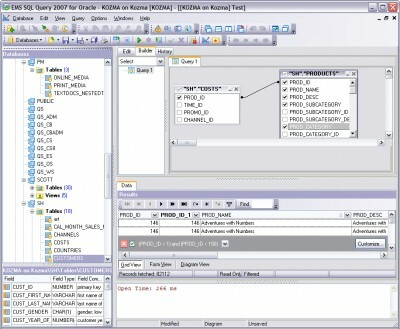 You can work with several queries at once, edit queries and perform any other operations with database queries. This program is shareware, which means you can download and use EMS SQL Query 2007 for PostgreSQL 3.0 for free during 30-days trial period. After this period you gonna have to buy EMS SQL Query 2007 for PostgreSQL 3.0 software for $95.00 or uninstall the program. EMS SQL Query 2007 for PostgreSQL 3.0 supports different languages (including English, German). It works with Windows 98/XP/Vista. Latest EMS SQL Query 2007 for PostgreSQL 3.0 does not contain any spyware and/or advertise modules, allowing installing it with no worries concerning valuable information loss. We has completely tested databases & tools software EMS SQL Query 2007 for PostgreSQL 3.0 many times, written and published the interesting article and uploaded installation file (6154K) to our fast server. Downloading EMS SQL Query 2007 for PostgreSQL 3.0 will take minute if you use fast ADSL connection. Utility that lets you quickly build SQL queries to MySQL databases.